Martin Freeman and his wife to welcome a new member to their family. Through the ‘Mind workout’, that’s the specialty of the Sherlock series. Fans have enjoyed all the three seasons of Sherlock, upcoming season 4 is going to be extra special. Why? Fan favorite Dr. Watson is going to become a father to a newborn daughter. Take a look of his new Avatar in Sherlock series. Martin freeman and his real-life wife Amanda Abbington are going to parents of a newborn child. But this time as Dr. Watson and his on-screen wife Amy. The couple is parenting their two, Grace freeman and Joe freeman in real life. Dr. Watson’s wife Amy, who revealed her pregnancy in season 3 is going to give birth to a daughter this season. With so much going on in the Sherlock series already, we are left to wonder what this addition to the Sherlock story is going to do. As of this morning we have filmed the first scene of new sherlock. Surprises are in store. What is the big surprise all about, is it Dr. Watson and Mary’s child? She is going to create a lot of drama, especially the Sherlock -Watson relationship. 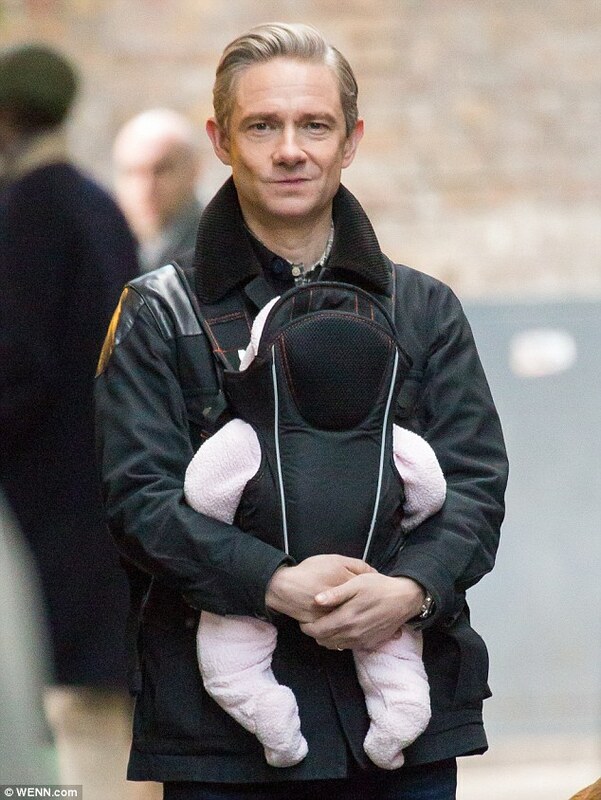 I already feel Sherlock will be as much involved with the child as her father, Dr. Watson is going to be with her. We are welcoming Dr. Watson and his wife Amy’s first child in the Sherlock series next season which is expected to be released in January 2017. The cast and crew were spotted filming their upcoming season in London. 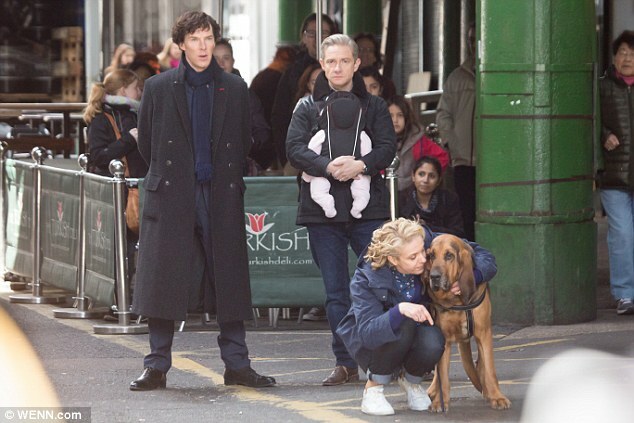 Martin freeman was seen alongside Benedict Cumberbatch carrying his baby while Amanda was busy caressing a dog.